Director Jim Sheridan has shared his heart-rending memories of working with the late Omar Sharif on the adaptation of Sebastian Barry's The Secret Scripture, saying that filming was "tough" because the screen icon was showing signs of Alzheimer's Disease. 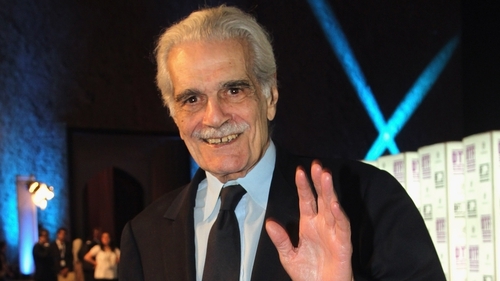 Omar Sharif passed away aged 83 on Friday July 10, following a heart attack at a hospital in Cairo. The Sunday Times reports that Sheridan filmed Sharif's scenes as a former priest on the final day of shooting for The Secret Scripture last March. The scenes were shot at Sheridan's Killiney home. "I got a chance to meet him a few years ago and went out for something to eat and he was charming and funny, and people would stop him and he held court – he was a star," recalled Sheridan. "He came over for the Dublin Arabic Film Festival last year and everybody found him charismatic." Sheridan continued: "Women were still crazy for him. Then I met him again but he was slipping a little bit, and then he came to do the movie, and that was tough because he was in the early stages of Alzheimer's." The Lawrence of Arabia star, the paper says, was not diagnosed with Alzheimer's until after filming, with Sheridan explaining that he showed Sharif photos taken at the Dublin Arabic Film Festival to jog his memory. "The weirdest thing was, he would remember himself and [Lawrence of Arabia co-star Peter] O'Toole in the desert, and you would have to remind him about Peter, but he never forgot [Lawrence of Arabia and Doctor Zhivago director] David Lean because Lean changed his life," said Sheridan. "What an actor," he added. "Monsieur Ibrahim was one of the films we showed at the festival last year, and he was amazing in that. He couldn't do wrong, with the eyes, the likeability and the soul coming through." The Secret Scripture reunites Sheridan with his My Left Foot producer Noel Pearson and also stars Rooney Mara, Vanessa Redgrave, Jack Reynor, Theo James, Aidan Turner, Tom Vaughan-Lawlor, Eric Bana and Sharif's grandson, Omar Sharif Jr. Adapted for the screen by Johnny Ferguson and Sheridan, it tells the story of Roseanne McNulty (Redgrave and Mara), who recounts her life and her experiences in a psychiatric institution. 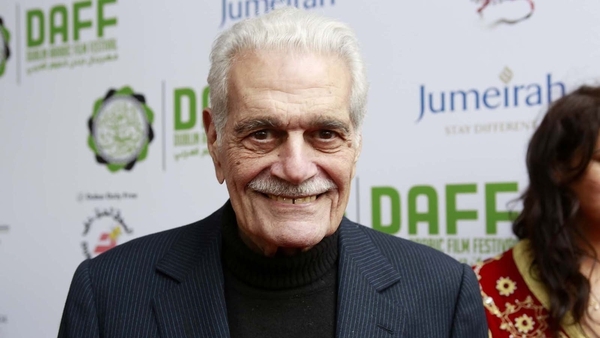 Sheridan told RTÉ Radio 1's Arena on Friday that he plans to pay tribute to Omar Sharif at this year's Dublin Arabic Film Festival in October, and hopes the actor's grandson will attend. You can listen to the Arena interview by clicking the link.